We are working ourselves backwards in this supply chain. We have now discussed the dentist and their clinics. On the back of that sits a number of companies that work as Sales and distribution centers for the clinics. Although not as fragmented as the dental clinics, this is still again a fairly fragmented group of companies, with local champions in different countries. Behind the Sales and distribution are companies that do what was shown in the videos above, so called dental labs. The dental labs are usually also small centers, with a few technicians that produce the dentures and other type of tooth replacements. The technicians use the machine and tools, produced by the Upstream suppliers and make a finished end product, either manually or through a more advanced CAD/CAM process. Very few dental clinics are big enough to have in-house capabilities of producing dentures with traditional or CAD/CAM technology. So either there is a local dental lab they turn to or a central bigger operation. The local dental lab has the benefit of providing a quick turn-around time, which is obviously important for the end-customer. The problem with local dental labs in for example western Europe is that the dental technicians are expensive. So what quite interestingly has happened is that, just like many other products we purchase, it has been outsourced. If the customer wants a low priced product, the production has been centralized to low cost countries. There are large pools of dental technicians trained to produce these products, mainly in China. I for one did not know that perhaps grandma’s dentures were produced in a “factory” in Shenzhen China. The upside obviously is cost, the downside is the turn-around time, the close communication between dentist and technician. This means that in many cases the factory in China can not deliver the same top quality product. But as we have seen, dentist cost is major issue hindering more supply, with lower prices more people would want the services. Several reports claim that this outsourcing of services to low cost countries has hurt the local market and the number of local dental labs have been shrinking. For example in the U.S there seem to be growing shortage of local technicians US Study from 2012. Another example is Sweden where the local lab market declined from 5bn SEK to 2bn SEK between 2007 and 2011, after that it has been fairly stable. Technology has help this shift of outsourcing production to larger centers. Before the co-op between the dentist and technician was very close. Today we have machines that create very good images/scans of the mouth/teeth/gum, which helps the technician to produce good products without much back and fort with the dentist. On the other hand technology reduced the manual labor cost, which has been the big advantage of producing in countries with high labor costs, acting as a counterweight to the outsourcing trend. A very good master thesis has been written on the topic of China challenging local labs, it describes many parts that I summarized above. For the interested reader I urge you to read the report here: Dental Laboratory Crisis: How is Chinese competition affecting the Swedish dental industry? What I found the most interesting in the report, which I had a hard time to find elsewhere was the interviews with Swedish technicians, expert and dentist. Below I summarized some of the main points of those interviews. This gives the perspective from a more highly developed country, keep in mind that is not the case all around the world. 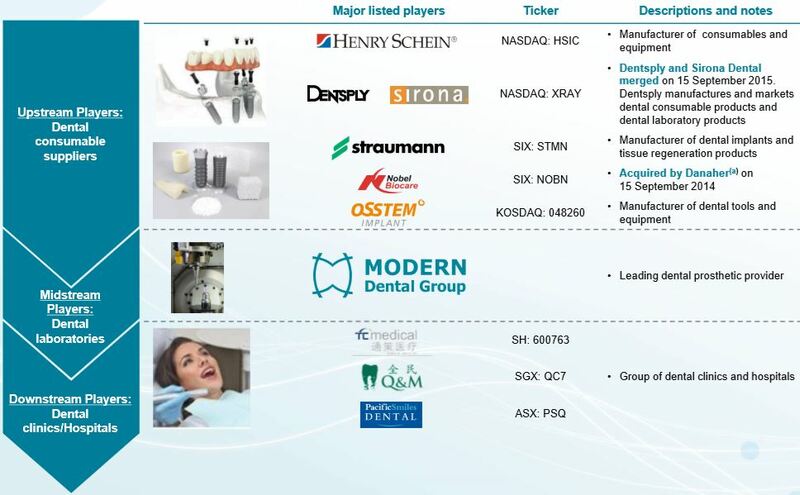 The concluding remarks were that they are aware of the Chinese competition but they think that the ‘stolen’ market share is currently at a top level and that the most important function within the collaboration of dentist and dental technician is still the close connection which is needed to clarify missing details and make perfect color matching possible. The treats from China still seem to be far away,” C2 states “a bigger threat are our neighbor countries like Poland because patients can go there and get a better price than in Sweden.” If patients need one crown they will go to a Swedish dentist and will moan about the price but they will do it. If they need 10 to 15 new teeth it is worth crossing the borders. In Poland, there are even service centers where one can go to, have the impressions made, stay in a spa for one day and on the next day they will get the prosthodontic. In the background, technicians work all day and night in shifts to complete the product within 24 hours. Since 2009 the Chinese competition is shrinking, C3 argues. They trace this to the good Swedish aesthetic quality, the product quality as well as the service quality. “You can’t compare local dental laboratories with the foreign competition when it comes to these parameters.” On the other hand, Chinese firms are producing their products more cheaply than C3’s company could ever do. When the company started, they had about 60 percent of their suppliers located in China. Today, after eight years, this percentage decreased to 4 percent. They shifted from importing the products to manufacturing them locally. The expert sees the foreign competition from south-east Asia as a stagnating threat in the past years. Since this competition also has the need of new manufacturing technologies the price advantage is not that big anymore. When talking about SMEs in the dental industry, Expert E1 sees the threat especially for the micro and small firms. These firms do not have the financial capabilities to make bigger investments for the upcoming technologies such as AM or intraoral dental scanners. “The biggest drawback here is, even if they afford such a technology they do not have the capabilities to outlast these machines.” When Expert E1 focuses on the collaboration between the technician and the dentist itself, a few changes in the future can be seen. The communication is still an important factor but it will be decreasing in the future. The expert argues that in the future dental technicians will work as a refining party in the process chain. Within the next years, the number of market players will decrease due to all these changes mentioned before. The new technology of the intraoral scanner is too expensive for small dental laboratories. In the next years when the technology becomes affordable, this will transform the market again. The Expert states “This is the missing link in the digital workflow.” When facing the problems for the industry, Expert E2 says that the small laboratories will have a hard time staying in the market. This is not only because of the missing resources to invest but also if a small laboratory can afford a 3D printer they do not have the capabilities to run the printer at a reasonable capacity. As a private dentist, D1 is aware of the technological changes: already 15 years ago, the dentist bought a CAD/CAM machine to produce crowns in-house as a chair side6 solution. Dentist D1 was very satisfied with the product but when it broke down, dentist D1 knew that an investment in a new one would not be a good idea. The first reason was that the machines are very expensive, a breakeven of the investment was never possible. Second, the dentist has so many patients that participant D1 wants to spend more time on the patient in person and not on the production of additional products. This is the end of the industry dynamics description, there is still much more to say, but I want to move over the company specifics. So the rest of the dynamics of the industry will be included when certain companies are described. For example the first post discussed Invisalign and similar products, for treating misaligned teeth. These supply-chains are not as complex and can be brought into the analysis of for example Align Technology. 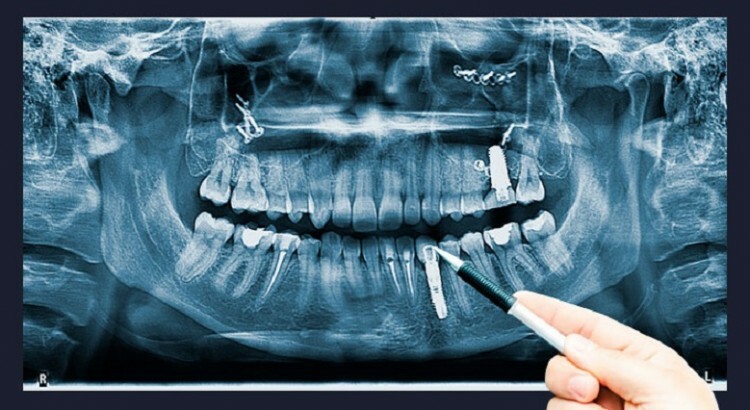 Another big area is the implants and the different product choices for doctors in terms of titanium screws, abutments etc. This will also be brought into the analysis of such a company. Thanks for posting. Here in Australia there seem to be quite a few clinics that have the Cerec machines. As a patient I like them as the crown can be made on the spot. In fact I prefer the dentist that offers this.